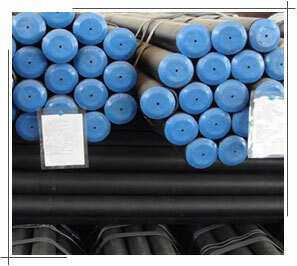 Ashtapad Overseas is a Steel Tube Distributor that stock and processes the finest quality industrial steel products. Large inventories of carbon, tool steel, alloy steel, and stainless steel are available with Ashtapad. Ashtapad specializes in quick delivery. We house a large inventory of ASTM A335 Grade P91 NACE Alloy Seamless Pipes & various grades, sizes of steel tube, allowing us to rapidly supply you with the product you need, when you need it. We offer a rapid response system that will give you a price quote within minutes. The Alloys Unlimited quality management program ensures that all materials comply with ASTM, AISI, or SAE specifications and all products are fully certified. The environment management system of the company is certified according to the requirements of ISO 9001:2008, 14001, 18001 & PED. Few of the major brands we represent are Arcelor Mittal, Sumitomo, Tenaris ASTM A335 Grade P91 NACE Alloy Seamless Pipes, Benteler, Jazeera Steel, Hyundai HYSCO, Arabian Pipes Company, Froch, etc. Our materials are approved by Saudi ARAMCO, SABIC, SHELL, ADNOC, GASCO, PDO, KNPC, KOC, QATAR Gas, SGC etc. 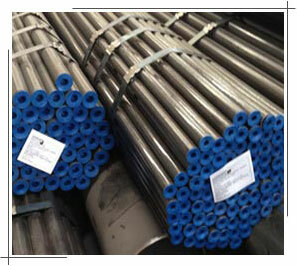 Ashtapad also offers a wide range of ASTM A335 Grade P91 NACE Alloy Seamless Pipes, 316 Seamless Tubing, 316 Seamless Pipe, ss 316l Seamless Pipe, 304 Seamless Tube, 304 Seamless Stainless Steel Tubing & Hydraulic Tube etc. We can meet most ASME, ASTM, AMS, and military specifications, and can cross-reference to most international standards, including full DIN 3.1b, full 3.1/3.2 Certifcation and NACE requirements. Utmost care is taken towards Packing of the ASTM A335 Grade P91 NACE Alloy Seamless Pipes so as to ensure that the resultant Coils, Foils, Tubes, Pipes and Fittings reach in the same condition as desired by our valued customers. We are exporting ASTM A335 Grade P91 NACE Alloy Seamless Pipes to more than 40 countries like UAE, EGYPT, TURKEY, Singapore, Malaysia, Iran, Iraq, Saudi Arabia, Bahrain, Qatar, Yemen, Kuwait, Argentina, Palestin, Algeria, Italy, Tunisia, Oman, Mauritania, USA, Bangladesh, Lebanon, Canada, Vietnam, India, Sudan, Syria, Morocco, Libya, Jordon, and many more..
We also have our sales representatives to understand the requirements of our clients, we maintain ready stock of ASTM A335 Grade P91 NACE Alloy Seamless Pipes in cities like Abu Dhabi, Riyadh, Manama, Muscat, Doha, Dubai, Damascus, Khartoum, Beirut, Jeddah, Aleppo, Alexandria, Algiers, Amman, Mosul, Cairo, Baghdad, Dammam, Casablanca, Basra, Mecca, Tripoli, Rabat, Sana’a, Arbil, Hilla, Port Said, Marrakech, Medina, Al Hudaydah, Omdurman, Damietta, Homs, Kafr Dawar, Benghazi, Fez, Bahri, Nouakchott, Sulaymaniyah, Safi, Zarqa, Oran, Kirkuk, Ismailia, Tunis, Agadir, Tangier, Sharjah, Shibin El Kom, Misratah, Matrah, Aden, Najaf, Karbala, Latakia, Sousse, Meknes, Gaza, Fallujah, Aswan, Kassala, Al-Ubayyid, Sohag, Kuala Lumpur, Penang, Kuching & many more.. Tags: ASTM A335 Grade P91 NACE Alloy Seamless Pipes, best quality ASTM A335 Grade P91 NACE Alloy Seamless Pipes, wide variety of ASTM A335 Grade P91 NACE Alloy Seamless Pipes, ASTM A335 Grade P91 NACE Alloy Seamless Pipes India, ASTM A335 Grade P91 NACE Alloy Seamless Pipes distributor Mumbai, ASTM A335 Grade P91 NACE Alloy Seamless Pipes traders, prime quality ASTM A335 Grade P91 NACE Alloy Seamless Pipes, ASTM A335 Grade P91 NACE Alloy Seamless Pipes exporter, Source for ASTM A335 Grade P91 NACE Alloy Seamless Pipes, specialize in ASTM A335 Grade P91 NACE Alloy Seamless Pipes, ASTM A335 Grade P91 NACE Alloy Seamless Pipes with Test Certificate, ASTM A335 Grade P91 NACE Alloy Seamless Pipes manufacturers, ASTM A335 Grade P91 NACE Alloy Seamless Pipes suppliers, ASTM A335 Grade P91 NACE Alloy Seamless Pipes importer, ASTM A335 Grade P91 NACE Alloy Seamless Pipes dealers, ASTM A335 Grade P91 NACE Alloy Seamless Pipes mill, ASTM A335 Grade P91 NACE Alloy Seamless Pipes price, ASTM A335 Grade P91 NACE Alloy Seamless Pipes ready stock, ASTM A335 Grade P91 NACE Alloy Seamless Pipes urgent requirement, ASTM A335 Grade P91 NACE Alloy Seamless Pipes Turkey, ASTM A335 Grade P91 NACE Alloy Seamless Pipes UAE, used ASTM A335 Grade P91 NACE Alloy Seamless Pipes, ASTM A335 Grade P91 NACE Alloy Seamless Pipes manufacturing process, Suppliers of ASTM A335 Grade P91 NACE Alloy Seamless Pipes, Brand Steel Pipes stockist, send your ASTM A335 Grade P91 NACE Alloy Seamless Pipes requirement to our Mumbai, India office by email ashtapad@vsnl.net, ISO 9001, ISO 14001, OHSAS 18001, PED certified & Government Recognized Export House, Click here to send us your requirements of ASTM A335 Grade P91 NACE Alloy Seamless Pipes. 200+ tons in ready stock, order small (1 piece) or large quantity.